I can't believe I'm finished with MuTu! I completed the 12-week program, and I'd like to share my final thoughts and results with y'all. 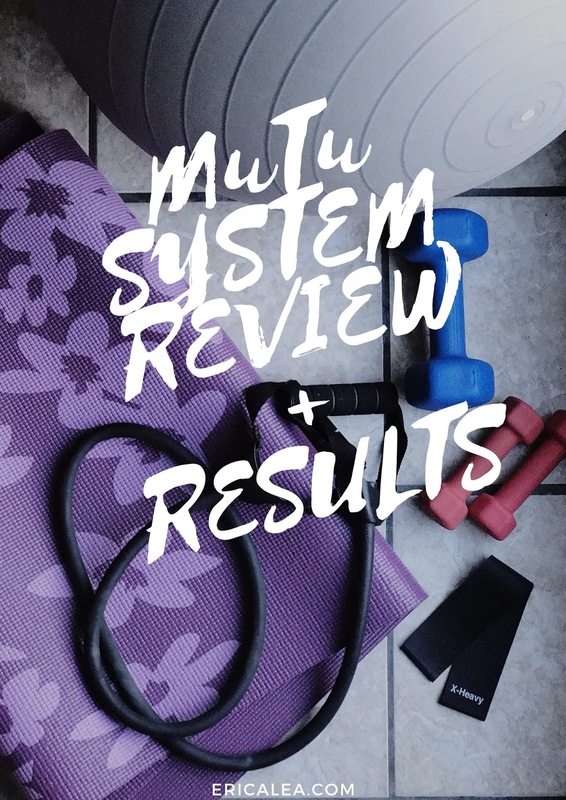 First of all I'm going to go over my review of the MuTu system, and then I'll get down to the results. You are introduced to the system pretty gradually to keep you from getting overwhelmed. The exercises are very low impact. Except for one exercise in the final phase, there's no crazy jumping around. Great for moms that have bladder issues, joint issues, or just don't like jumping around. Wendy keeps her shirt on in all of the videos. I know this is a personal preference, but I appreciate how she keeps a bit more modest than a lot of fitness instructors, especially considering that her program is geared towards moms that have children possible working out with them. You can purchase the program and get instant online access. This also means that you can do your workouts anywhere from any device. No stuffing DVDs in your purse. If my back is hurting, it will go away after I do a workout. The program requires quite a bit of equipment. For some workouts, you need a different piece of equipment for each move. I know equipment can be a good way to get your body in shape, but I prefer to just use body weight plus a few hand weights. The music gets kind of old. Some of the videos are better, but in some the music is like a 10 second loop. I also prefer more upbeat, lively music. Instead of Wendy talking to you during the workout, she's simply doing the moves with her voiceover. I like it when an instructor is talking while they're working out - it feels more like we're in it together, if that makes sense. Haha. Wendy doesn't seem super excited about the whole thing. Some people might prefer a more chill instructor, but I like it when they're peppy or intense. There are three things that you need to remember to do each day: take a walk, do the core exercises, and do the intensive workout (this is only required 3-5 times a week). I prefer the workout to be all-in-one. Also, that would be quite a bit for someone that's new to fitness to do. The moves are not very intuitive. You really have to concentrate to make sure you have the proper form. I'm still not sure if I was doing all of the moves correctly! So I lost about 3/4 of an inch from my waist, about 1/4-1/2 of an inch from my belly, and my diastasis closed maaaaybe half of a finger. I do feel like it's closing above and below my belly button, but it's still around 2 1/2 fingers right at my belly button. My results are a little disappointing to me. I didn't work out every single day like the program stated. Life happens, and I like a day of rest. But I feel like a system shouldn't require you to work out every day of the week to give you results. That being said, I am now back to my pre-pregnancy measurements. And my back pain has improved. I just wish I would have been able to close my gap more. I'm going to take a few weeks to regroup and decide what fitness program I'd like to do next. My diastasis recti isn't healed, but I think I'll go ahead and do some non-tummy-safe workouts and try to keep really good form. I also want to start training to be able to do a pull-up! That's one of my big fitness goals. Let me know what your favorite workout programs are! Kristi Yamaguchi! She was my childhood hero. :) Thank you for sharing these workouts. I never had this problem myself, so I looked it up and lo, and behold Wikipedia describes exercises that involve no equipment and can be done anywhere. No DVDs to buy or websites to visit, either. Sadly, quite a number of different sources say that exercising may or may not work. 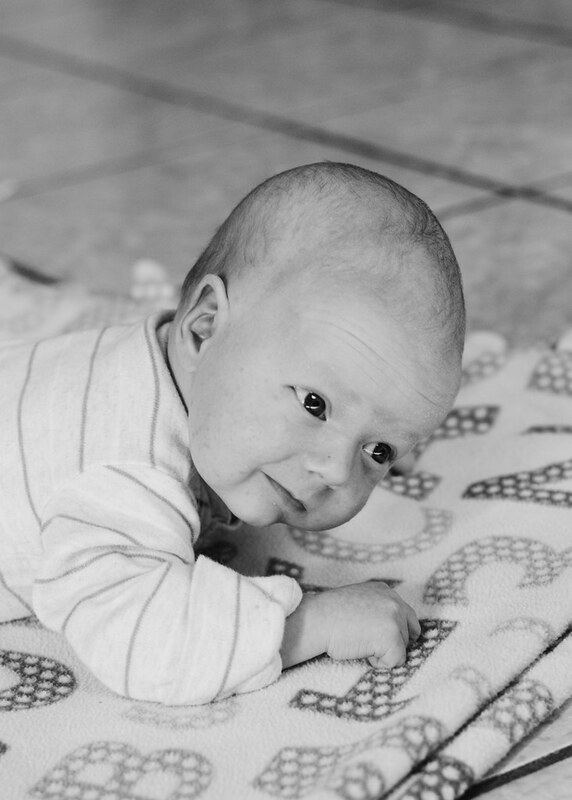 There is simply not a large enough sample size of postpartum women using these exercises to do a longevity study. Anyway, I just thought I'd pass along the no equipment option, since it sounds like you can use it if you should become pregnant again. I know I've mentioned Fit2B before, but it really is wonderful. I haven't been consistent, but I think someone as consistent as you would get great results. At first it might not seem as intense as you'd like, but there are several hundred videos on the site and some of them DO get intense and challenging. Beth is also known for (and a big believer in) getting a lot of results and a challenge without being hard on your body. You can do challenging things and effective things that are simultaneously gentle. But like I said, they do have intense workouts. I love how she is constantly teaching you about your body and how everything works, but also how to care for yourself and have grace for healing and body issues that come with motherhood especially. She wants to encourage but also challenge and equip you. I have been doing it off and on for about 9 months (but sometimes months at a time without exercising) and purchased a year subscription on Cyber Monday (which makes it come out to less than $10 a month I think). I'm getting a lot more consistent now and just bought some bands for arm workouts. For most you don't need equipment and she teaches lots of styles....yoga, aerobics, tabata, pilates, blends. Anyway, I just wanted to mention it again because I respect her so much and am thrilled with the workouts when I take the time. I hope to be consistent with both my eating and working out in order to see more results. They definitely make me more aware of my core for the rest of the day. They also say that 1 finger is considered closed, and that many women just don't get there while they're nursing because of hormones. That comes up a lot in the facebook support group. It was interesting to hear your experience with MuTu! I'm sorry it wasn't as effective as you'd hoped. Would you do the second half again or something? Thank you for the recommendation, Cait! I'll have to go check out Fit2B. Yeah, I wonder if my diastasis will improve when I'm done nursing. It will be interesting to find out! I think I'll probably implement some of the things they teach in MuTu (trying to go for a walk every day, good posture, don't wear heeled shoes whenever possible, etc. ), but I think I'll only do the core workouts at least for a while - the intensive workouts just aren't my speed!